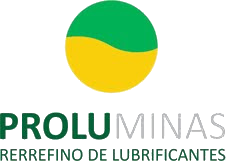 Proluminas Lubricants is a company for domestic refining of lubricating oil, having as its main activity the gathering and refining of used lubricating oils of various types. The re-refining consists in the recovery and transformation of used lubricating oil or contaminated into basic oil again. Thus, through a complex system of logistics that ensures national collection in various establishments like shops, fuel stations, car dealers, shipping, among others, Proluminas avoids incalculable environmental impact, preventing this oil from getting poured into nature or used improperly and consequently harming man and the environment. Prior to implementing Veltec, the control process for collections and closure of payroll, was all done via excel spreadsheets, where employees fed information gathered through other tracking systems, already installed in the fleet. Proluminas opted for instaling the solution for GPS monitoring and telemetry in its fleet to have greater agility and reliability in the treatment of information related to collections.